If you’re just getting into the protein shake life and you’re like me, you might be looking to upgrade your blender. 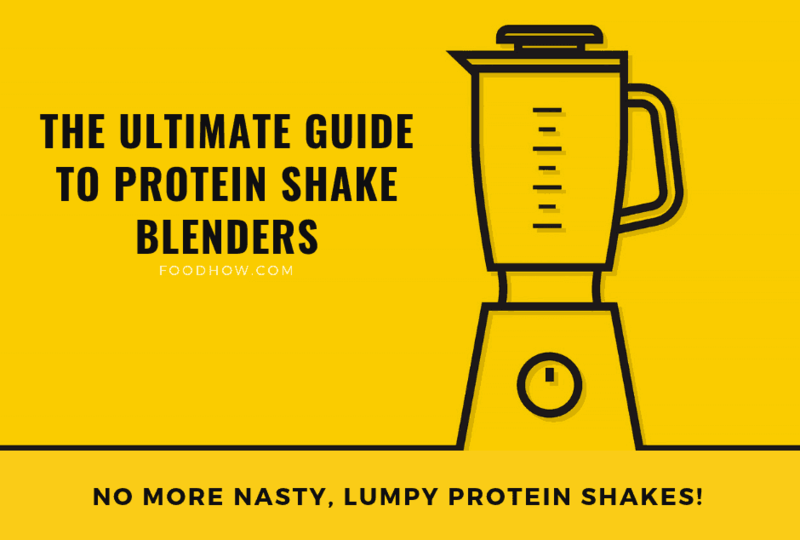 Or maybe you don’t have a blender at all, because until now, you haven’t really needed one or you have been using a simple protein shaker bottle that was given to you as a welcome present from your gym or came with your whey protein order. 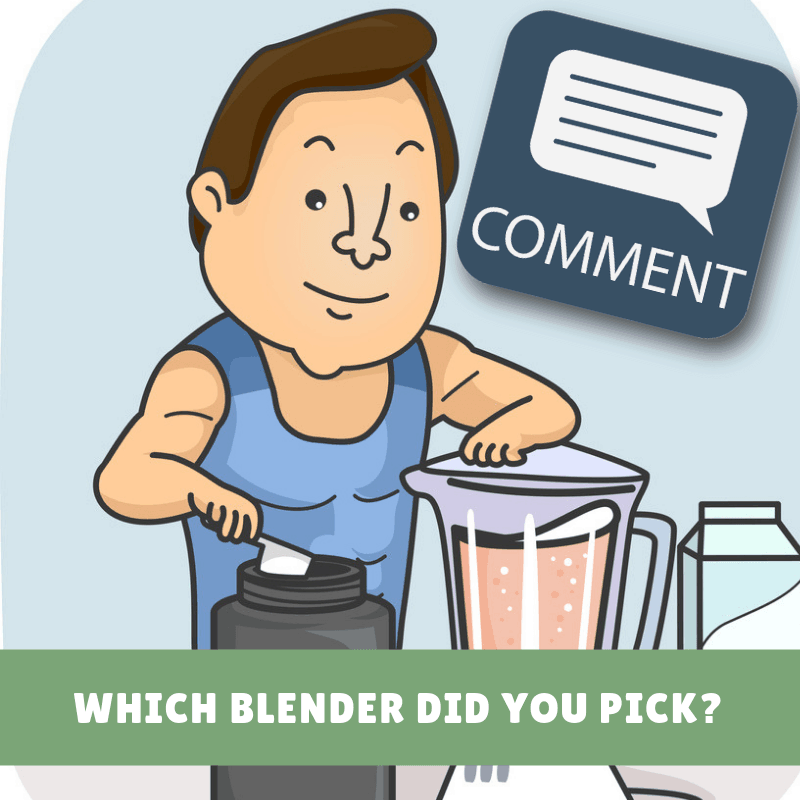 What Should You Look For In A Protein Shake Blender? In the last few months of my health journey, it has come to my attention that protein shakes are one of the easiest ways to buffer my weightlifting and fitness routine and get in a healthy meal on the go. 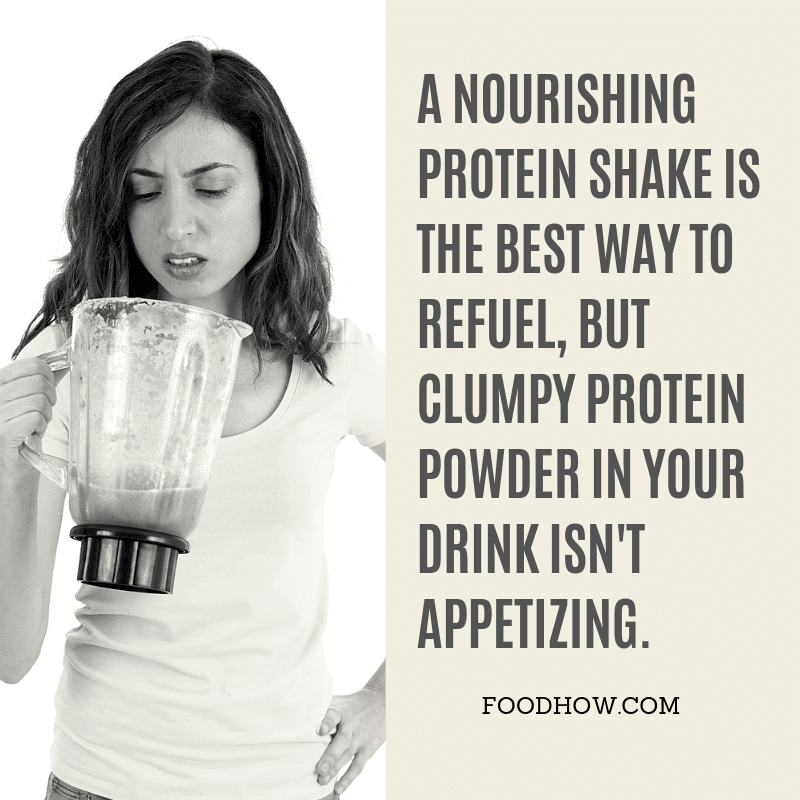 However I am getting fed up drinking lumpy and chunky shakes when I am at the office or when I travel as no matter how much water I put in my shaker bottle the protein powder just clings to the bottom of the bottle and shakes always turn out lumpy and bit sickly even when I use premium protein powders. It has also equally dawned on me that my ancient hand-me-down blender in my house is going to need replacing if I’m going to keep abusing it with ice cubes and frozen fruit and all the other healthy powders that I add to my protein shakes quite often. I’ve been doing a crazy amount of research. And now I’ve brought that research to you because nobody should have to be stuck coaxing ice chunks out of a twenty-year-old blender or swallowing disgusting lumps out of the shaker bottle. There are basically three different kinds of blenders - cup blenders, bullet blenders, and stick, or immersion blenders. Immersion blenders are generally not good for shakes (in my experience they make a mess!) so I am going to be focusing mostly on cup and bullet blenders for the purposes of this article. If you don't know how immersion blenders look like then check it out here and you will see what I am talking about. Different people have different situations as some don't need a portable blender and can have nice large unit in their kitchen. 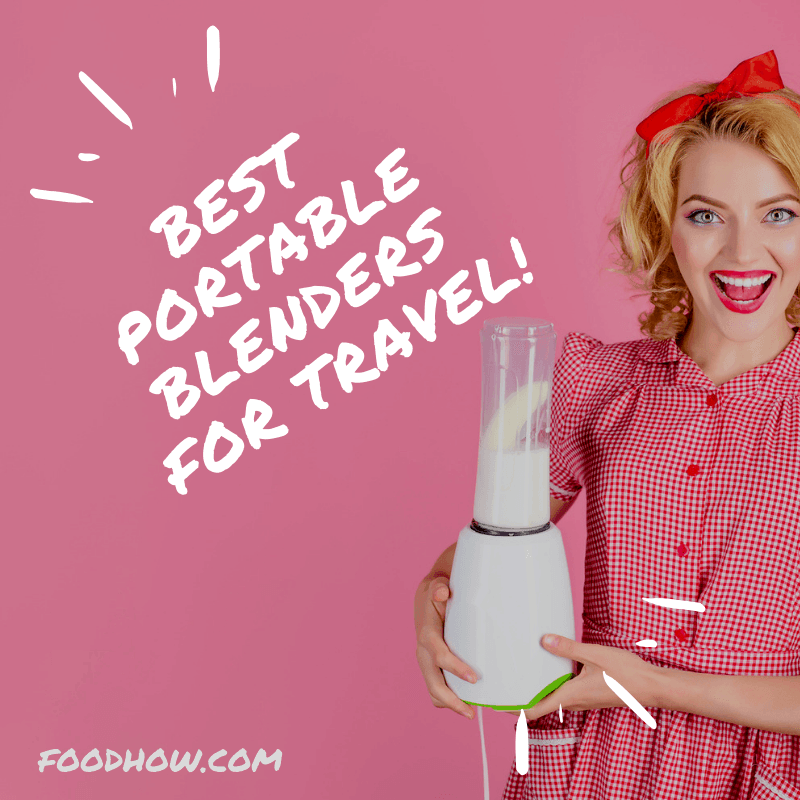 Others however might need something that is very transportable that they can take with them and use on the go or you might even decide to get both so I’ve put together a list of blenders for different situations that you might find yourself in. Personally, I find bullet-style blenders to be the best for protein shakes. They’re portable, and since I’m the only one in my house drinking protein shakes, I can make single servings and then drink them right in the container they’re blended in, cutting down on dishes. The Oster My Blend takes that portability to a whole new level - by designing the blender cup as a sports bottle, it’s convenient and space saving. I do a lot of travelling, and I’ll probably pick one of these up to toss in my hotel bag - makes it super easy to stay on track while travelling! Probably not as durable as other options, and won’t blend through anything denser than frozen fruit, but if all you need is simple whey protein powder or smoothie blending, this will do the trick. 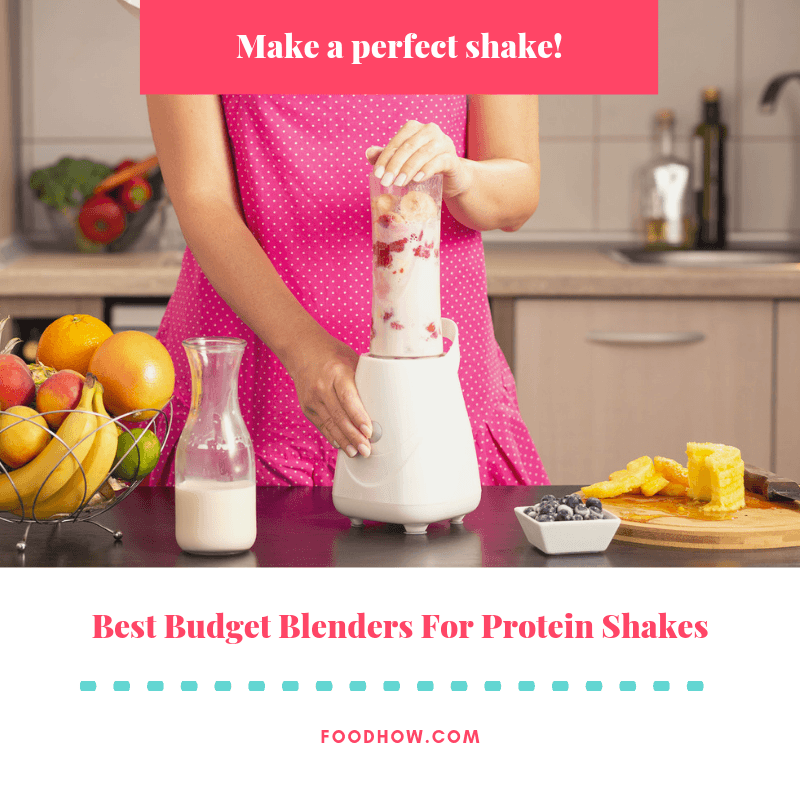 These factors, combined with the budget-friendly price this is a perfect starter blender for someone who needs an option that won’t break the bank! Find it here. If you’re looking for a more traditional blender, then check out this little powerhouse from Hamilton Beach. The Hamilton Beach Power Elite does only cost little more and has a more power than the Oster MyBlend. The cup capacity is larger, and while this isn’t an investment buy that will last a long time, it’s a good start if you’re on a budget and you need your blender to be multifunctional. If you’re a consummate traveller like me, you’ll know that trying to keep up your healthy eating habits on the road is the worst. Temptations lie around every corner, and it’s not like you have access to your normal kitchen amenities in a hotel room. While I made mention above of the Oster My Blend being a good travel blender, the best shake blender for travel I’ve found in my research is absolutely this Hamilton Beach Single-Serve Blender. The Single-Serve is designed for travel. It’s light, with a built-in storage space for the cord, and won’t take up too much real estate on your hotel desk or your travel bag. The price range is still surprisingly budget friendly depending on the retailer, making it affordable, and while it’s not as powerful as other options, it’s also touted as a quiet blender that won’t wake your fellow travellers if you’re trying to make a smoothie in the early morning while everyone is still asleep. You can get it here! If you’ve got a few extra dollars to spend on your travel blender, this next choice is very cool and convenient! This Portable Blender from Petrolar runs on a battery, so no cords necessary! It charges via USB, so if you need to you can even hook it up to your computer to charge! This is a dream for long-term travellers, who often find themselves with a shortage of both power outlets and healthy food. Great for airports, bus stations, and anywhere you might find yourself needing a boost. 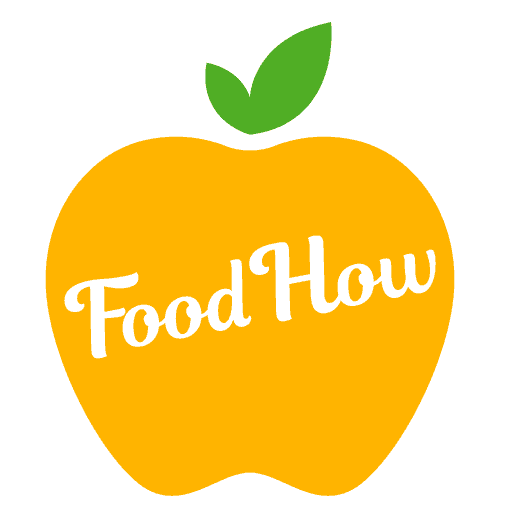 It’s made of sturdy, baby-food grade materials, and has a long-lasting charge. An extra special bonus with this guy, too - if you’re in an extreme pinch, you can charge your phone with it! How neat is that? Find it here. There are two great loves of my life. One of them is aesthetics. I’m the kind of person who makes Pinterest boards for every room in the house, and the kitchen is no exception. My old-timey, 50s-diner-inspired kitchen loves a good, sturdy KitchenAid appliance in cherry red to match my Coca-Cola advertisements and the red gingham apron hanging on a hook by the stove. The other great love of my life is doing as few dishes as possible. I’m not kidding, guys. I hate doing the dishes more than almost anyone you’ve ever met in your life. Almost everything that comes into my kitchen has to be dishwasher-safe and easy to clean, because otherwise it’s just not getting clean. That is why I adore this KitchenAid 5-Speed Diamond Blender, with it’s sturdy, old-fashioned design and it’s heavy-duty, a dishwasher-safe cup that can just be loaded into the dishwasher when I’m ticking off morning chores. Even the base cleans off easy with just a damp paper towel, making it look like I worked way harder than I did. It’s got everything - power, durability, and for a blender of this kind, still a great value. Pick it up here! I’m a big fan of bullet blenders for a lot of reasons! They’re convenient not just for blending smoothies but grinding coffee and nuts for nut butters. I like to use mine (an old, slowly-dying cheapo bullet-style blender) to grind flaxseed into meal for grain-free baking, and make sun butter from sunflower seeds, in addition to my protein shake habits! The BEST thing about a bullet blender, though, is that the cups are small and personal-sized, so you can just toss them in the dishwasher and wipe down the base, and everything is back to being super clean. It’s perfect if your protein shake routine includes more than one drink daily. This Nutribullet Pro set is is my pick because of added power, and extra, dishwasher-safe cups. Get it here! There are a couple of reasons you could want the strongest possible blender available. If you like extra-thick shakes, or if you have extra-dense ingredients like nuts (I like to blend hazelnuts into chocolate shakes!) that you like to add, you aren’t going to want a blender with low power. 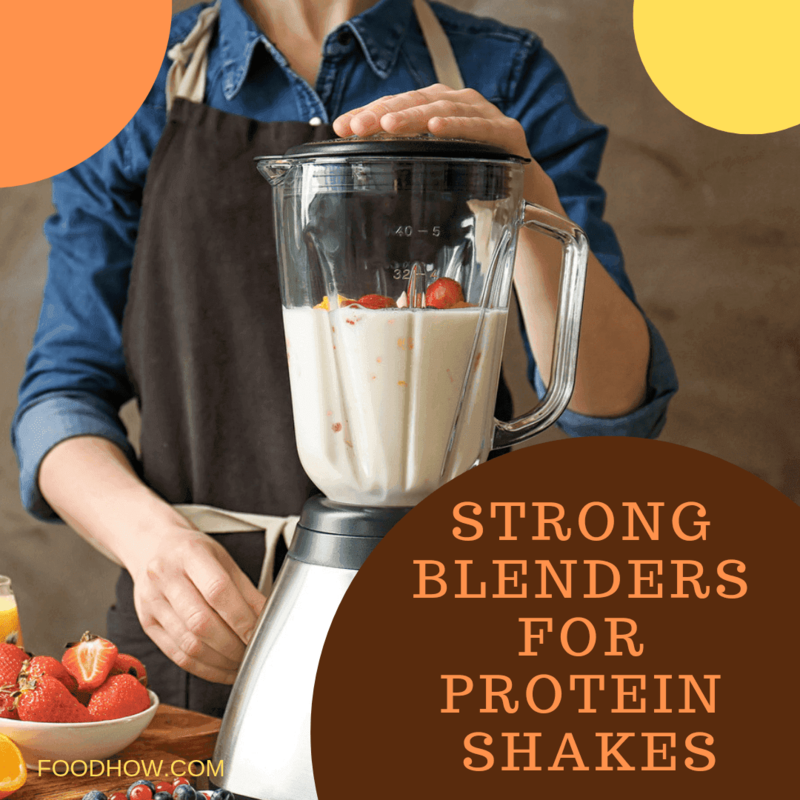 Trying to blend dense shakes can burn out the motors of a less powerful blender, so I’ve picked out a few powerhouses for you here. The first one I’m just super in love with. Check out this 4 in 1 Blender and Food Processor System by Ninja! 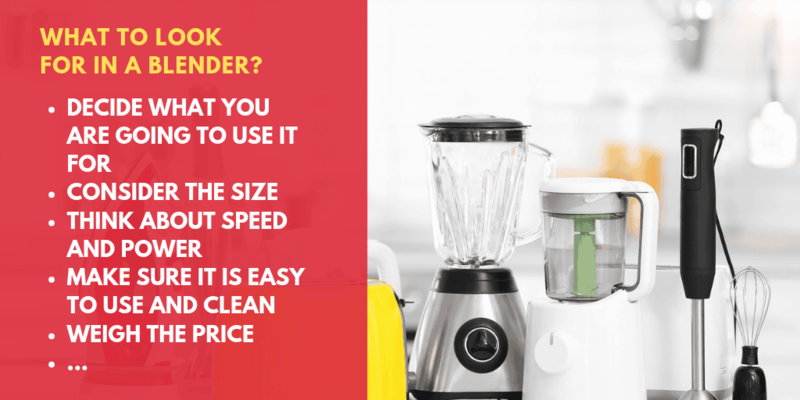 The problem with high powered blenders is that there is a significant price gap - the more powerful, top-of-the-range blenders can sometimes go for thousands of dollars! Now, this one is a little pricier - but that includes a ton of value. First off, it comes with a 1200-watt base, which means that this thing will crush pretty much anything you could toss its way in a home kitchen. It’s also durable and will last you a while, plus, there’s bonus attachments - a food processor attachment, a veggie spiralizer with three different shape options, and a single-serve attachment perfect for shakes and smoothies.​ Check the price here. If you’re willing to pay just a little more for a commercial blender, then this Blendtec Total Classic would be a great choice! 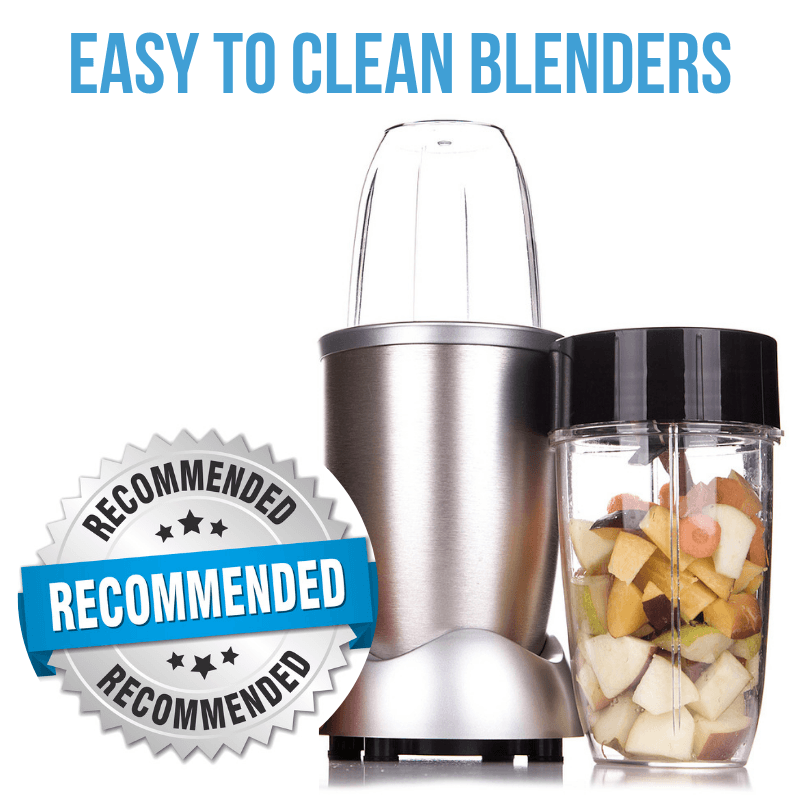 Blendtec is a reputable brand with a long history of satisfied customers, and you really couldn’t go wrong with this model. With a startling 1500+ watt base, there’s pretty much nothing it can’t handle. It ticks all three of our protein shake criteria - it’s power and durability provide incredible value for the price, when other commercial blenders can run hundreds of dollars more expensive! Here’s where you can find it. There are some blenders you only dream about. These are the “money is no object, will solve all your problems, fix your relationship and cure your acne” kind of blenders. If money is no object for you, and you just straight up want to get the best money can buy, here are a few completely top-notch, professional-grade blenders - the kinds you might be more likely to find in a coffee shop or a smoothie kiosk. Vitamix is synonymous with quality when it comes to blenders, and the Vitamix Professional Series 750 Blender is one built to last. Durable, easy to clean, and with professional-grade power, it’s hard to go wrong here. 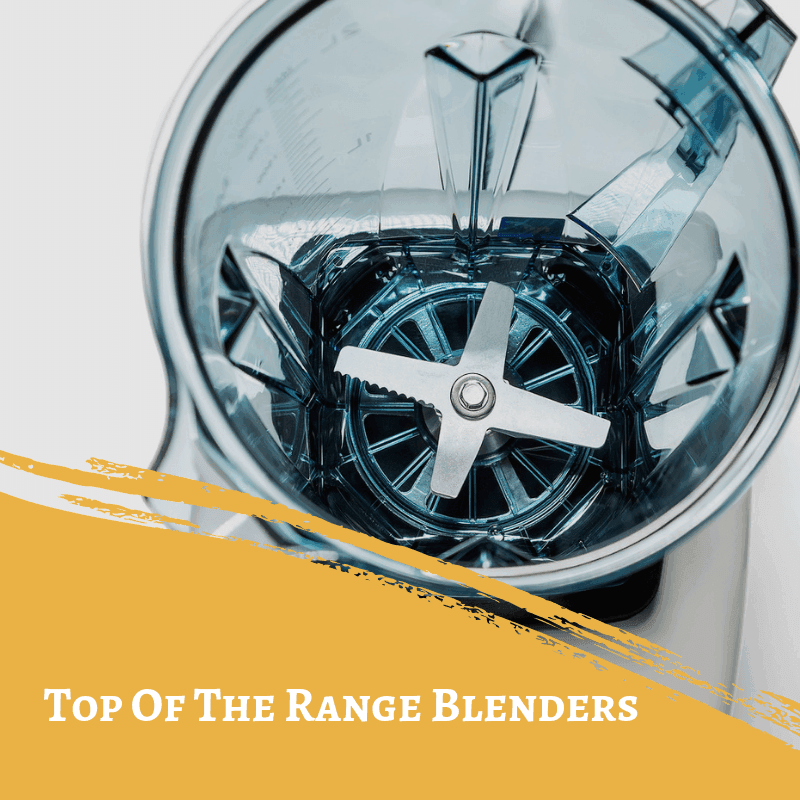 I picked this one, specifically, because a lot of commercial-grade blenders are huge and hard to fit underneath normal countertops, but this one is specially-designed with a low-profile cup that will fit under your countertop no problem! If you’re shopping for the best blenders can get, this is definitely my top choice! You can get it here. Whew! We’ve covered a lot of ground here today! Remember, when it comes down to it, figuring out which blender is for you and your protein shakes is all about our five main features: easy to use and clean, portability, power, durability, and value. What you select depends on your specific needs. If you’re just blending protein powder with milk or a water, you don’t need as much power as someone blending with ice and fruit. If you aren’t using your blender every day, you might be able to afford to skimp a little on durability. And your individual budget determines whether or not you want to pay more for extra features - or if you’re fine with a simpler model that’s easier on the wallet. No matter which one you choose, pat yourself on the back. You’re well-informed, and now you can take that first step towards that protein shake life - leaner body, bigger muscles, more energy, and a blender that just won’t quit! 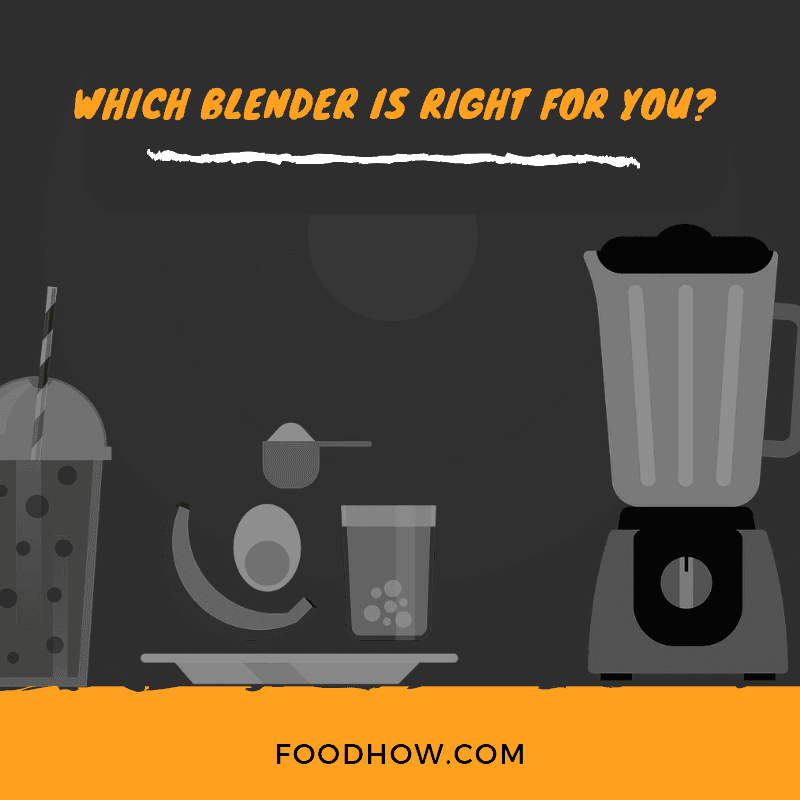 Which blender did you pick? Tell us in the comments below which one of these you like the most and why, and most importantly - what is your favorite protein shake recipe to make with it? My personal favorite is peanut butter and banana...I look forward to reading yours! Yes, indeed great article. Personally, I had a Vitamix Professional Series 750 Blender, and I think it deserves a better score (just my opinion). I think it has the best quality-price ratio. Love the little travel blenders. I think I’ll be getting the very first one – I travel a lot, and that will be a nice incentive to keep me from eating too much at hotel breakfast bars, haha. Now I just need to see if there are any good recipes for travel shakes themselves. I’m not great just doing the powder and water, so maybe some individual peanut butter packs to toss into it will cut down on that protein powder-y flavor.